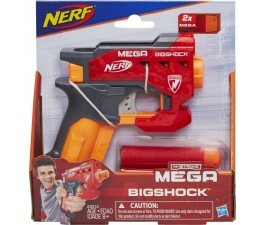 At Mr Toys Toyworld, we proudly stock the products that kids of all ages adore, including the Nerf N Strike range of guns that are suitable for kids aged eight years and over. We believe that there's a youngster alive and well in everybody, but because we adults can't run around the streets with a plastic gun firing foam darts, we want to give children the opportunity to make the most of their youth by providing the most exciting toys available. Plus, because we understand the financial difficulties of being a parent first-hand, we endeavour to be the most affordable provider in Australia. Your children will be impressed when they see that you've bought them a Nerf Accustrike, but first, you need to decide which gun from the Accustrike range is suitable for your youngster. 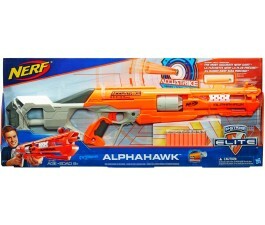 At Mr Toys Toyworld, we stock the toys that children can have endless fun with, and the Nerf Accustrike range of blasters won't fail to entertain. Browse our broad range of products online today. 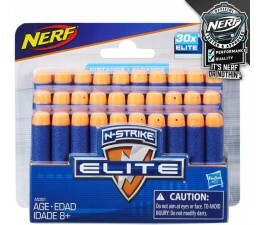 The Nerf N Strike Accustrike toys are suitable for children aged eight years and over.